The Trinidad family who all perished in the horrific collision, except for the mother. Picture via their GoFundMe appeal page. “I’m alone” — these were the heartbreaking words of a mother who survived a car smash that killed her husband and four daughters. Mary Rose Ballocanag Trinidad, aged 53, of New Jersey, uttered the devastating words to an aunt who was by her bedside at a Delaware hospital yesterday (Sunday, July 8). She was suffering with broken bones following the devastating collision that robbed her of her family on Friday afternoon, the New York Post reported. 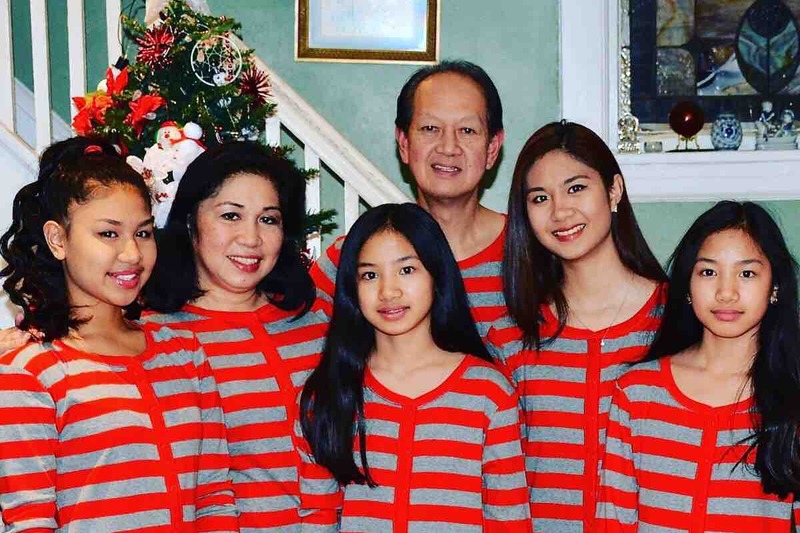 Her husband, Audi Marquez Trinidad, 61, and their four daughters — Kaitlyn, 20; Danna, 17; and twins Melissa and Allison, 13 — were killed as the family were driving home from a vacation in Ocean City, Maryland. Police said the Trinidad family were travelling northbound on Route 1 in Delaware just before 4pm when a maroon pickup truck crossed into oncoming traffic and smashed into the family’s white Toyota Sienna minivan. The driver of the maroon truck that hit the family’s car has been identified as Alvin Hubbard Jr, 44. He and an unidentified 30-year-old male passenger suffered minor injuries. Police are continuing to investigate the collision and, so far, no criminal charges have been brought. Mrs Ballocanag Trinidad’s aunt, Lydia Agas, said she was the first to speak to her devastated niece at the hospital, where she remains under heavy sedation. Her husband’s brother, Daniel Trinidad, told the New York Post that the family was devastated over the sudden loss. “I’m trying to keep it together,” he said. “We don’t know how we will cope once reality sets in. They’re all gone, gone. As we reported yesterday, a GoFundMe page has been set up to help with funeral arrangements and Mrs Ballocanag Trinidad’s ongoing recovery. So far, more than $175,000 has been donated to a new goal of $250,000. The original target of $10,000 was surpassed within hours. Mrs Ballocanag Trinidad worked as a nurse at Mount Sinai Beth Israel in New York. Her husband was a postal worker and US Navy veteran. The couple met after they arrived in the US in the 1980s.